A WELL PRESENTED first floor one bedroom APARTMENT, boasting both front, side and rear aspect views and offers larger than average accommodation. A BESPOKE kitchen boasts fitted appliances and the property benefits from access to a bike store and on allocated parking space. Viewings are highly recommended for this property. Via security entry, communal hall and stairs to first floor. Door to flat. Radiator, two storage cupboards, doors to bathroom, bedroom and lounge/kitchen. Double glazed window to rear aspect. Double glazed window to front aspect. Radiator, television aerial point, open plan to kitchen. Double glazed windows to front and side aspects. Range of base and eye level units with square edge work surface, single drainer sink unit with mixer tap, integrated oven and hob with extractor fan over, fridge/freezer, dishwasher and washing machine. 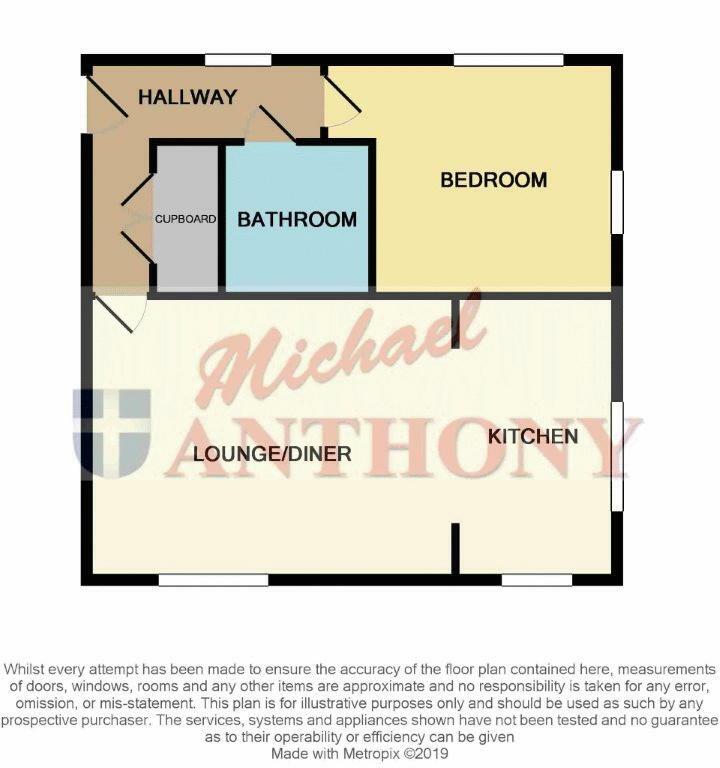 Three piece suite comprising pedestal wash hand basin with splash back tiling,, low level w.c. panelled bath, with shower over, part tiled walls, shower screen, heated towel radiator. Double glazed windows to side and rear aspects. Radiator. Allocated parking for one car, communal bike store.